In two weeks I was on the road again. This time my journey led me to Zlin, a little university town in north-east Moravia - sometimes called 'Bata City', and often referred to as a Mecca for architecture fans. It is the hometown of Thomas Bata – the shoe mogul and owner of the world-famous shoe company. 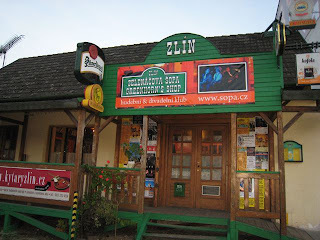 Zelenacova Sopa ('the Greenhorn’s Shop) is a very nice music and theater club with non-smoker restaurant. They have almost every month some bluegrass concert there. The reason for my visit this time was a Czech-Slovakian Bluegrass Party. 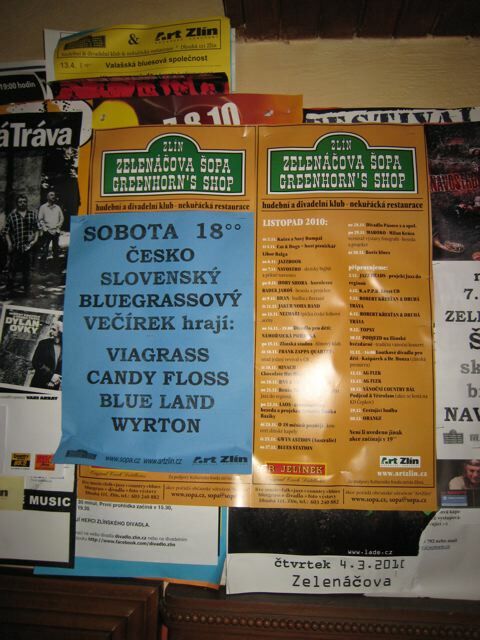 Three Slovak bands and one Czech band, all of them good friends of mine, met that Saturday at neutral Moravian territory. The Slovak band Candy Floss [above], around the banjo-picking girl Simona Schmidtova, opened the night. You may know them from EWOB in Holland, or La Roche-sur-Foron, France. They have a new female – very good lead singer – nineteen-year-old Patricia Pivouskova. 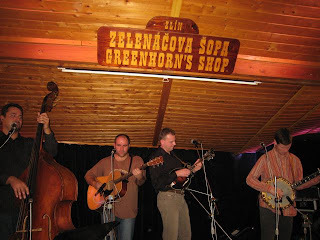 Some of the guys, such as Michal Barok (mandolin), Dusan Hronec (guitar), and Anton Naroda (bass), you may remember from their former band Meantime. They are characterised by beautiful vocals and precision instrumental work. The next day they were supposed to go to the studio for recording of their debut CD. I am already looking forward to hearing it! The one Czech band, Wyrton [above], followed. 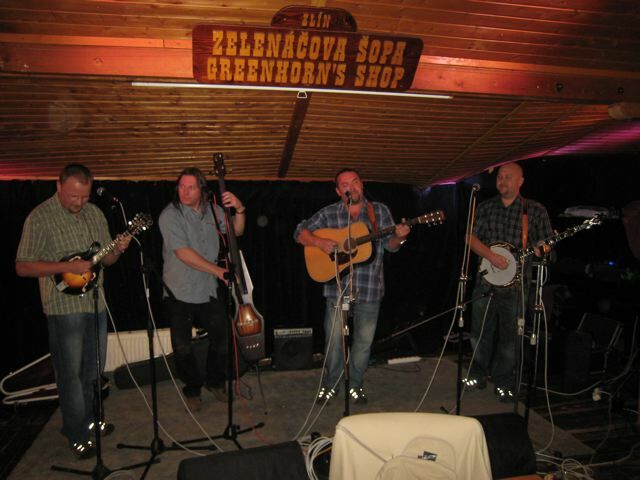 They missed their fiddle player, who recently left, but even without they made a good job. Some years ago they made third place at the band contest in La Roche, France. 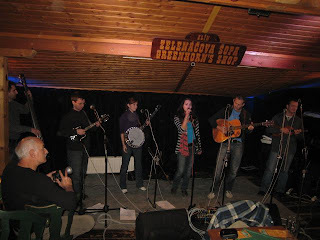 Also the next Slovak band, Viagrass [below], came in unusual, session formation and put on a good show. Blueland performed a lot of their hits and the audience still did not have enough. After several encores the programme was over, the audience left and a great jam session started. Thanks to Martin 'Curda' Jurik, the club owner and his team, it was a great night! 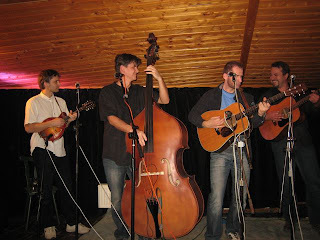 Country Pickers - on the road again!